Don't listen to anyone who tells you Singapore is sterile – a common gripe levelled at the destination. 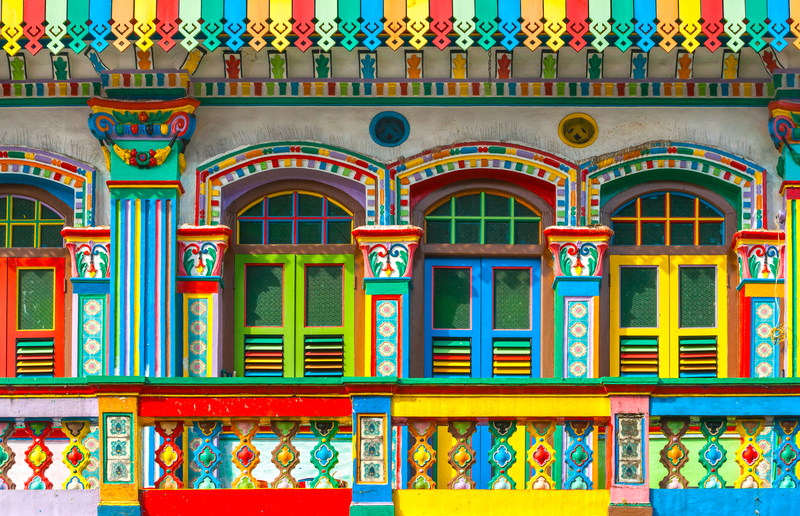 There’s no shortage of colour, whether it's the fragrant chaos of Little India, the wildlife-filled nature reserves or Haji Lane, with its day-glo murals and independent boutiques. It's also one of the world's greenest urban areas, with plant-covered skyscrapers and vast tracts of parkland. This year marks the Lion City’s bicentennial, 200 years after Sir Thomas Stamford Raffles signed a treaty which kick-started its transformation from fishing village to trading post. There’s no better time to visit so read on for our ultimate guide to Singapore. Orchard Road is technically just a single street but it's so much more than that. A wide, 1.3-mile avenue, it stretches from just outside the downtown area to the centre of the so-called downtown core, where it connects with Raffles Boulevard. 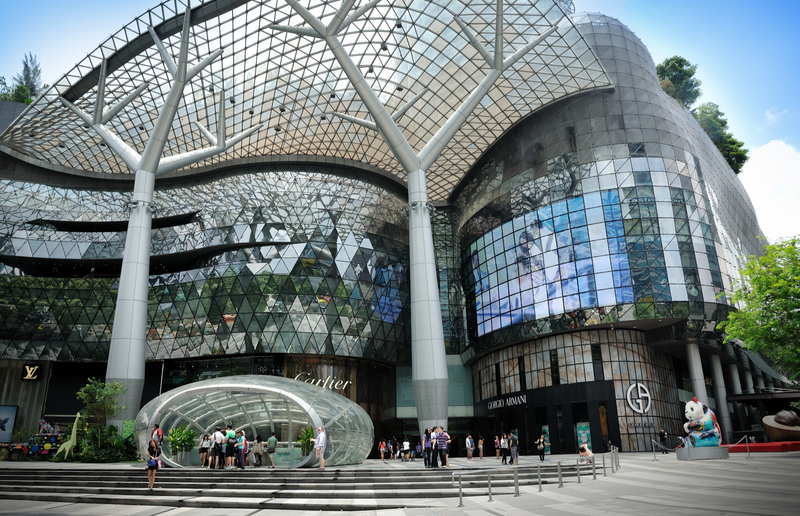 Wander its length and you'll pass some of Singapore's glitziest shopping centres, as well as boutiques from every designer under the sun. Here, stores are flashy and loud. Traditional shopfronts are replaced by huge neon billboards or video screens streaming footage from catwalk shows. But there's plenty for shoppers on a budget, including dozens of souvenir stalls for that all-important ‘I love Singapore’ t-shirt. Unsurprisingly, Orchard Road (and the side streets leading off it) has some of the best hotels. 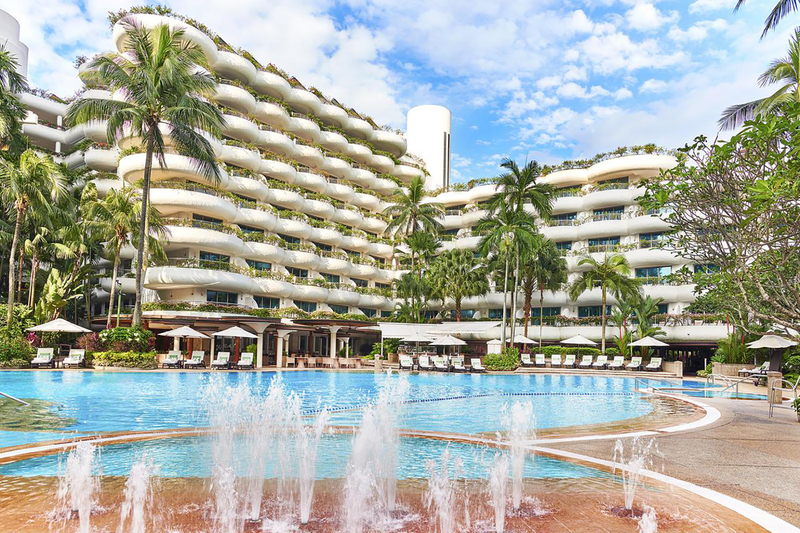 This includes the Grand Hyatt Singapore (famous for its StraitsKitchen buffet) and Hotel Jen, where you'll be able to swim laps in a gorgeous infinity pool while soaking up views of the breathtaking skyline. 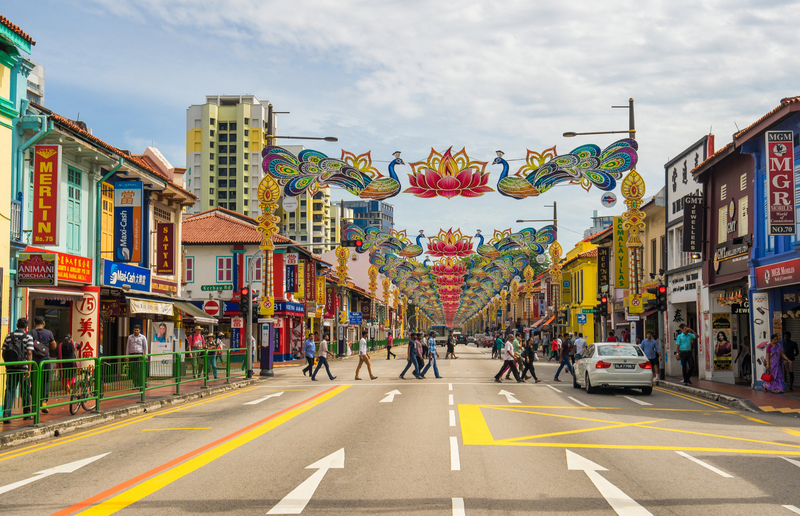 An area which perfectly sums up this city-state's wonderful diversity, Little India is an easily accessible, colourful neighbourhood in the centre, east of the Singapore river. It's a paradise for foodies – the Tekka Centre is one of the best spots for street food, dishing up a huge variety of cuisines from northern Indian to Indonesian. Then there's Banana Leaf Apolo, regarded as one of Singapore's best Indian restaurants. 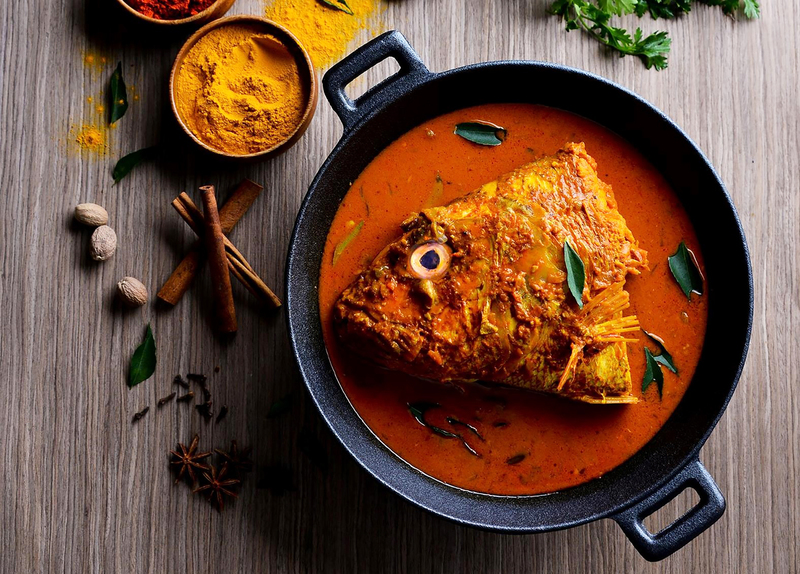 It's most famous for its curries (including a famously fiery fish head version, if you're feeling brave). We've yet to come across an item we haven't loved, whether it's the crispy onion pakoras or the spicy mutton kebabs. Prices are fantastic too, with curries starting at around £7. 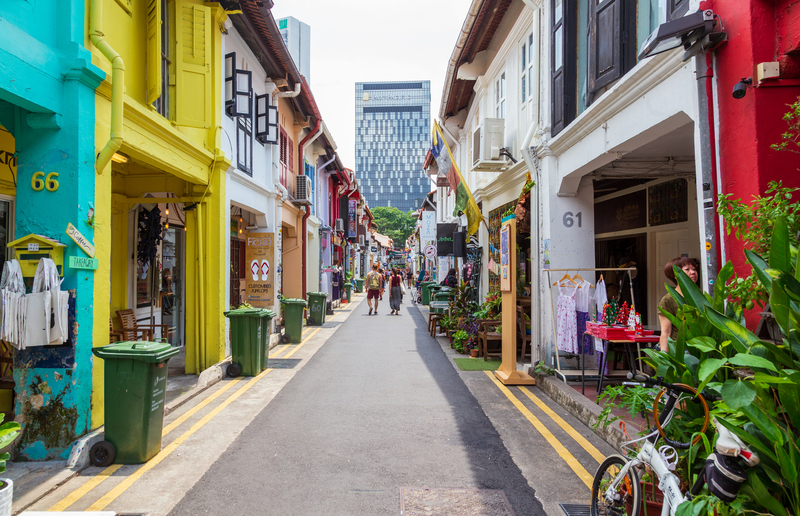 Two streets which run parallel to each other, Haji Lane and Arab Street are at the centre of an area often dubbed Singapore's creative hub. It's a popular base for backpackers, with lots of hostels, bars and restaurants, plus some fantastic independent boutiques. Our favourite stops include Aroma on Arab Street for ice cream (flavours include chilli chocolate and watermelon) and Haji Lane's The Silver Triangle for beautiful jewellery. Popular with ex-pats, Dempsey Hill is an affluent, greenery-filled neighbourhood which has some of Singapore's best bars and restaurants including Candlenut which has a Michelin star. There's plenty of history here too – the area was once a vast nutmeg plantation and there's an abundance of beautiful heritage buildings. It's also a great place to indulge in some retail therapy or window shopping, whether it's Shang Antique for upmarket ornaments and art, or Cuckoo for gorgeous homeware. The entire area is easily accessible thanks to a free shuttle bus service which stops at various locations throughout Singapore. Find out about timings here. Dominated by the ship-shaped Marina Bay Sands hotel, the waterfront Marina Bay area is Singapore's swankiest neighbourhood and overlaps the skyscraper-filled financial district, Clarke Quay (famous for its high-end bars and nightclubs) and the central Civic District. 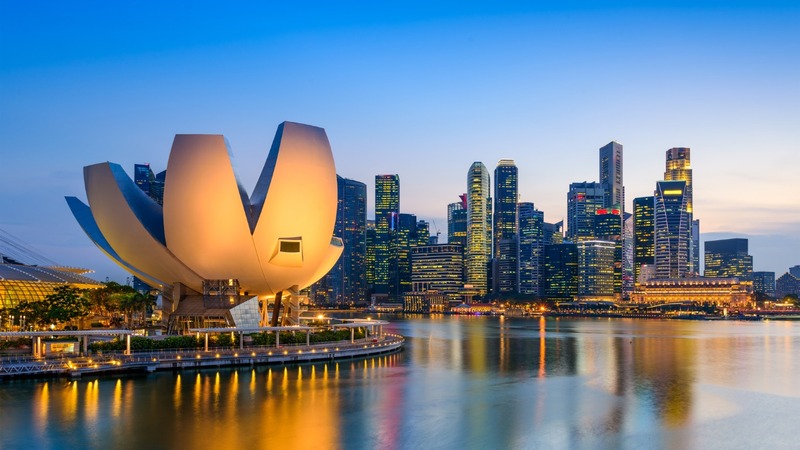 It's also got some of Singapore's biggest attractions including Gardens by the Bay and the ArtScience Museum, and several five-star hotels including the historic Fullerton Hotel. Sentosa Island is especially popular with kids. It's just a short cable car or MRT ride from the downtown area and packed with theme parks, including a water park and a Universal Studios park. Our advice? 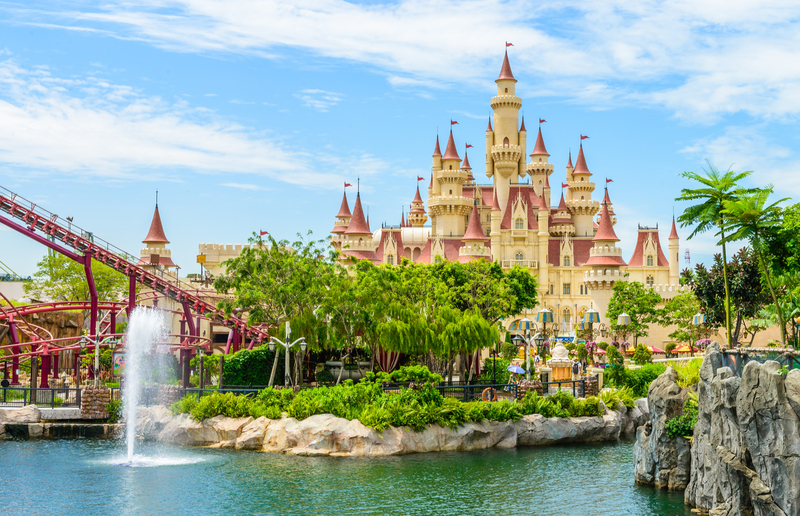 Squeeze in visits to the biggest attractions if you can but make sure you check out some of Sentosa's lesser-known gems such as the world's first hologram theatre, K-Live Sentosa, and KidZania where younger visitors can learn about a wide range of careers. In the space of a few hours, they'll be able to drive a fire engine, learn how to make ice cream and sign up for a lesson at South East Asia's only Mountaineering School. For a splash of luxury, consider the Shangri-La, a beautiful hotel near the northern end of Orchard Road. It's surrounded by orchid-filled gardens (the hotel has its own species of the flower) and there's a fantastic selection of restaurants, including Shang Palace for Cantonese food. 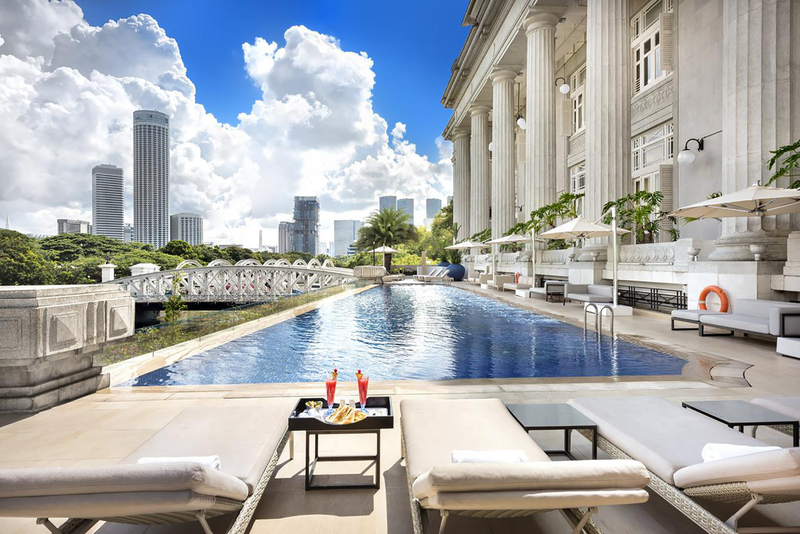 Location-wise, it doesn't get better than the Grand Hyatt Singapore just off Orchard Road. As well as its restaurant StraitsKitchen, we love the Party Room where you can sample more than 60 types of gin. If you fancy a view over the water, check-in to the Fullerton Hotel, housed in what was once a post office. It’s one of Singapore's most beautiful hotels as well as one of the oldest. For boutique luxury, consider the Hotel NuVe Urbane. You’ll be close to some of Singapore’s coolest areas, including Haji Lane and Arab Street which are a 15-minute walk away, and you’ll be a five-minute stroll from the Lavender MRT Station. There’s a gorgeous outdoor pool too. It's a myth that you have to splash the cash to eat and drink well in Singapore. For delicious, cheap street food head to hawker markets such as the Adam Road Food Centre or the Smith Street hawker market in Chinatown. 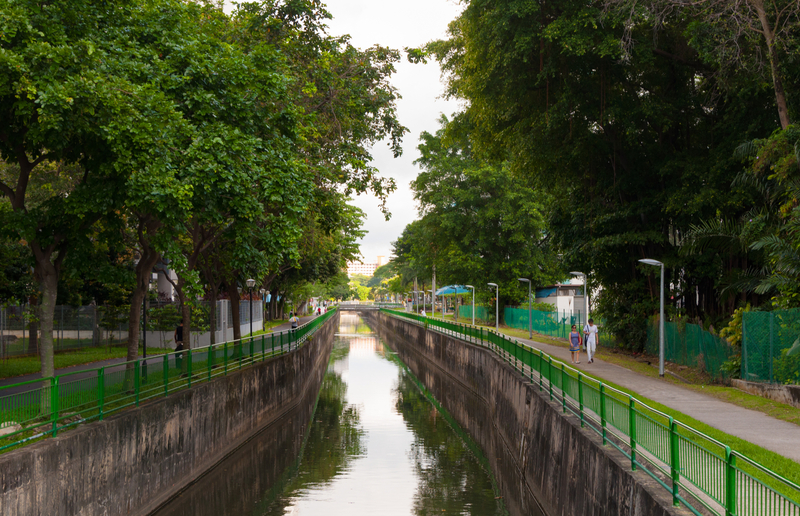 For the truly adventurous, head to Balestier Road, a few kilometres from the city centre. The hawker stalls here specialise in truly local cuisine, including fish head soup and frog porridge. 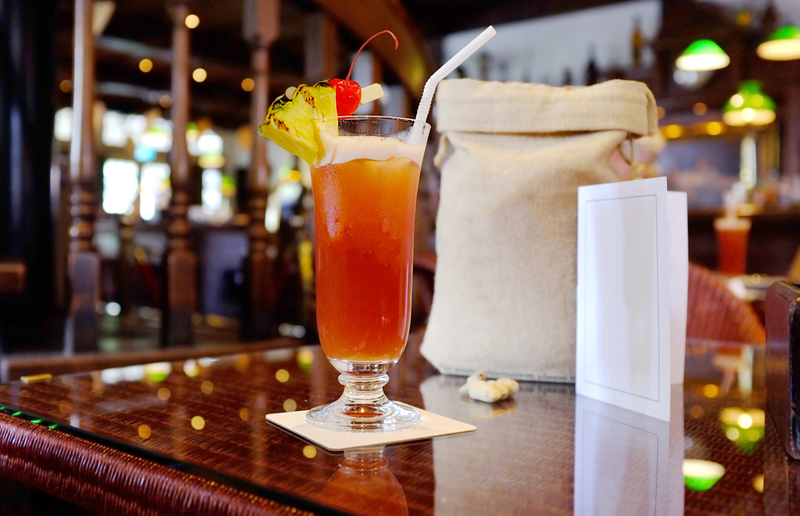 No visit to Singapore is complete without a Singapore Sling cocktail at the Raffles' Long Bar where visitors are encouraged to gorge on complimentary nuts and throw the shells on the floor (it's a tradition which dates back to when the hotel was surrounded by nut plantations). The bar reopened, post-refurbishment, in late 2018 and the main hotel is due to open in the summer of 2019. For afternoon tea, head to the Fullerton Bay Hotel's The Landing Point which offers one of Singapore's few unlimited afternoon teas where waiters will happily re-stock your cake stand. Afterwards, consider a tipple at the hotel's Clifford Pier, more specifically the open-air Gin Parlour. The view from this hotel is incredible but save your Singaporean dollars by buying a pass to the observation deck rather than booking a room. 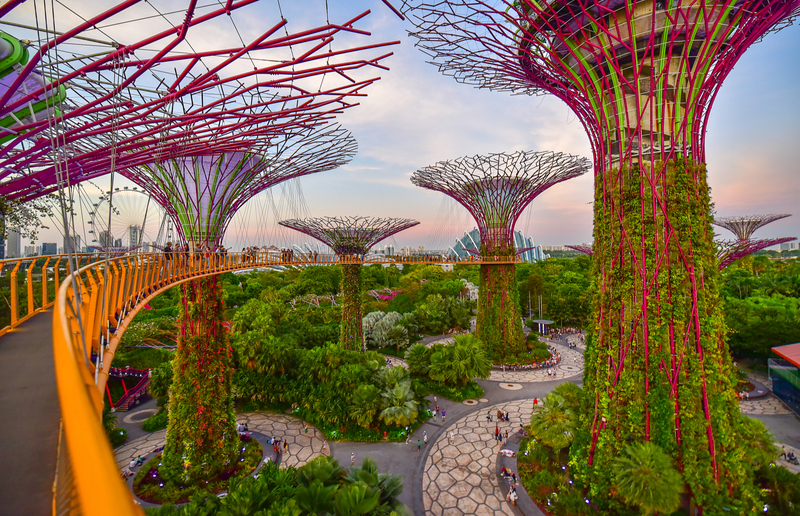 You'll be able to spot Gardens by the Bay, with its hi-tech Supertree Grove, and see across the water to Indonesia. From around £13 per person. Once you get over the humidity, cycling is a great way to explore Singapore's greenest bits. 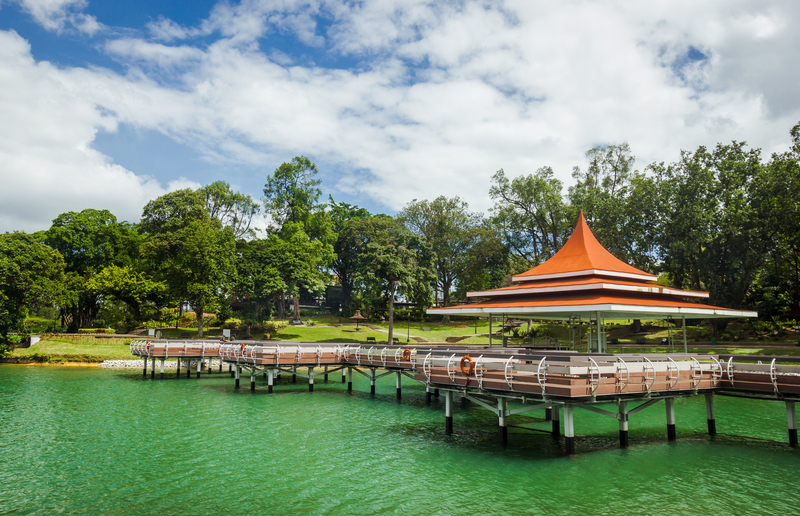 Hop on an OFO bike (a brand of hop-on hop-off bikes founded in Singapore) and pedal your way to the MacRitchie Reservoir, with its boating lakes and bike trails. Or head to the Windsor Nature Park where you'll find plenty of wildlife. Get lucky and you'll spot pangolins, monkeys and terrapins. You'll find the marvellous ArtScience Museum just opposite the Marina Bay Sands hotel. There's a packed calendar of temporary exhibitions although our favourite is a permanent one. Future World, which opened in 2018, is a smaller version of Tokyo's teamLab Borderless – the world's first digital art museum. It's the only permanent teamLab exhibition outside of Tokyo and the interactive, hi-tech exhibits are guaranteed to be a hit with kids and adults alike. 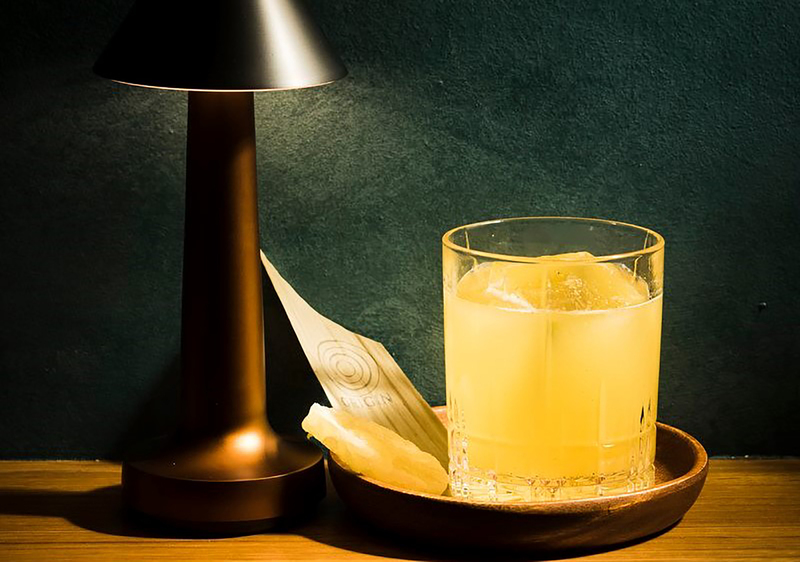 Regarded as one of Singapore's most innovative cocktail bars, Origin is a beautiful watering hole with a cocktail list inspired by Singapore's heritage districts. Orchard Road, for example, is fragrant and spicy, and a tribute to the nutmeg plantations which once surrounded the street. The cocktail inspired by Chinatown uses ingredients traditionally used in Chinese medicine. That's right, there are beaches in Singapore. More specifically, on Sentosa Island. Palawan Beach is popular with families and there's a suspension bridge linking beach-goers to the southern-most point of continental Asia. Tanjong beach is perfect for those craving some time out. While away the hours sprawled on day beds and swinging in hammocks. If you're feeling adventurous, there are stand-up paddleboards available for hire too. Start with a wander down Orchard Road: It’s a great way to get your bearings and there are plenty of cafés and bars to nip into if the heat gets too much. One of our favourites is The Coffee Academics where you can sip rare blends under sparkling chandeliers. Walk down to: the waterfront Merlion. 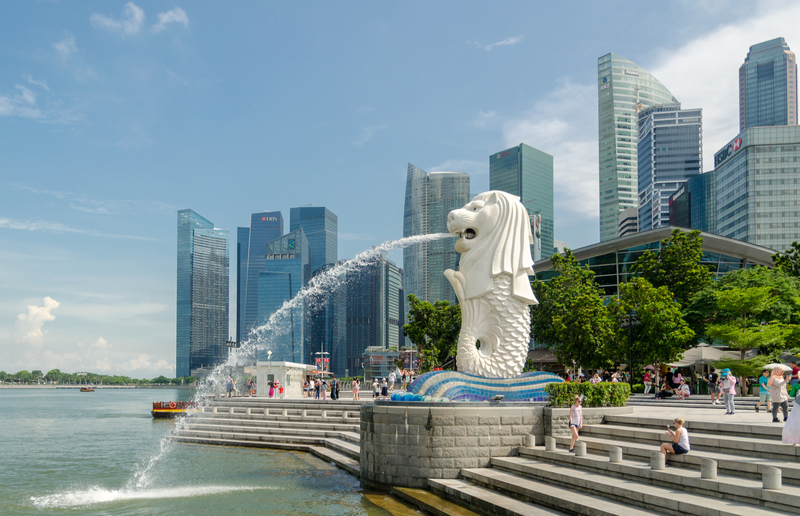 The half-fish, half-lion statue represents Singapore's origins as a fishing town and its present-day moniker of Lion City. Stop by the Asian Civilisations Museum: Learn about Singapore's past by exploring galleries which focus on everything from Southeast Asian design to its maritime history. Grab a bite to eat and a cocktail at: the Fullerton Hotel's rooftop Lighthouse restaurant and bar (we highly recommend the burrata). Dance the night away at: the Marina Bay Sands' Marquee Singapore, a huge nightclub opening in April 2019. It's Singapore's largest club and features an indoor ferris wheel. Pedal off last night's indulgences: with a cycle along Singapore's Park Connector Network which connects its biggest green spaces. It's easily broken down into chunks such as the Northern Explorer loop, a 25-kilometre section which connects 11 parks and nature sites, including Admiralty Park. Ditch the wheels in Haji Lane: Spend a couple of hours exploring the wider area, including nearby Arab Street. Keep an eye out for the beautiful, gold-domed Masjid Sultan mosque. Make the short walk to Little India: or hop on the MRT to the Little India station if you're still recovering from that bike ride. 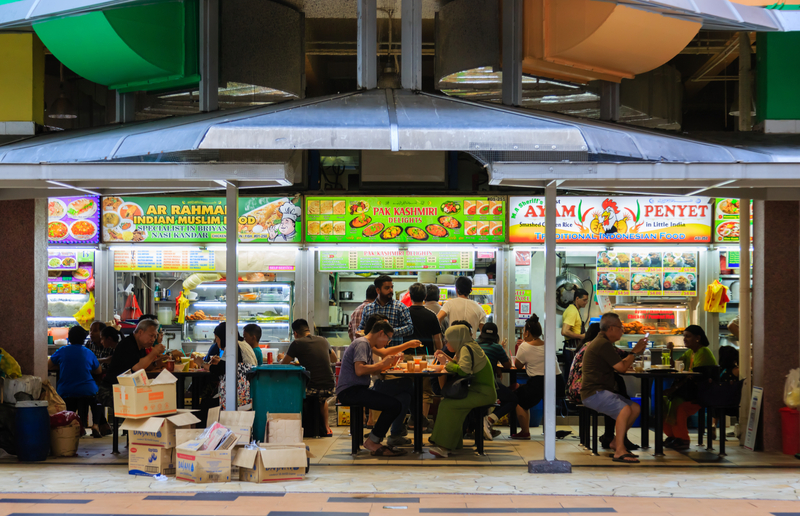 Grab a bite to eat at the Tekka Centre hawker market. Top off your culture fix at the Red Dot Design Museum: Admire the world's largest display of contemporary design. When the sun sets, nab a good spot on the waterfront just outside for the Marina Bay Sands' Spectra extravaganza – a free nightly outdoor light and water show. 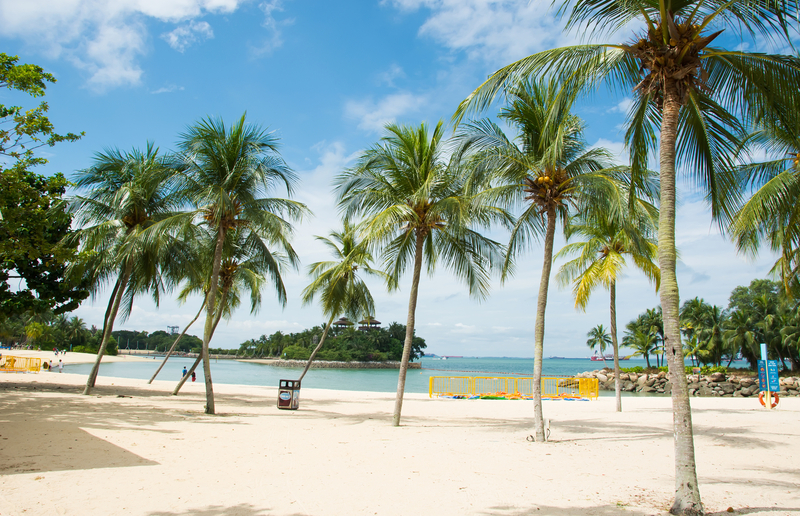 Take the MRT to Sentosa Island: and spend a few lazy hours taking in its beaches. Cool off with a dip in the Adventure Cove water park, one of Singapore's most family-friendly destinations. There are still plenty of quiet nooks and crannies where you chill out a good book in between laps of the lazy river. 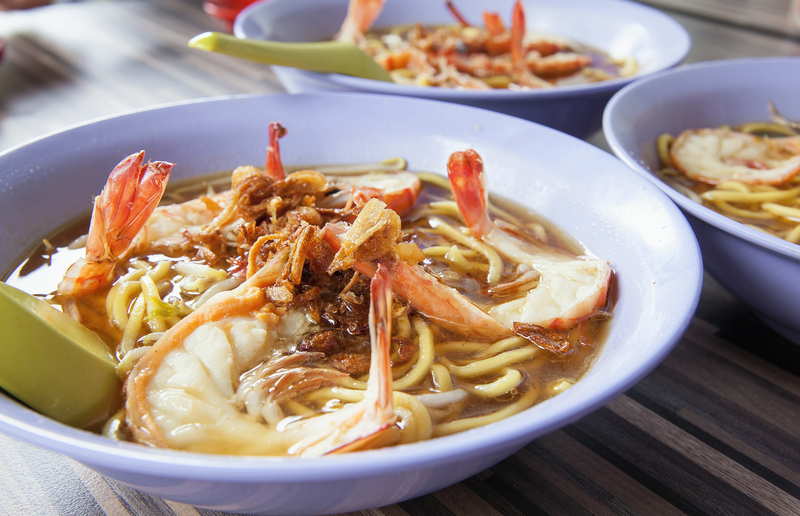 Head over to Balestier Road for lunch: and see how the locals live. This particular neighbourhood is known for its traditional cuisine but if you don't fancy lime-drizzled stingray there are plenty of delicious curries on offer. End the day on a (sugar) high: with a visit to Holland Village's 2am:dessertbar, founded by world-renowned Singaporean pastry chef Janice Wong. Staff will carefully pair your sweet selection with a glass (or two) of wine.